With a total of 96 départements (counties) in France, including Corsica, falling under 22 administrative regions, France has reorganised and trimmed down the number of its regions to 13 with the objective of reducing the administrative layers, bureaucracy and costs. This new organisation was adopted by the Assemblée Nationale in January 2016 and awaits to be ratified by the Conseil d'Etat on 1st October 2016. What follows will no doubt take time, but the newly merged and decentralised regions will have administrative functions that overlap which will need to be addressed. 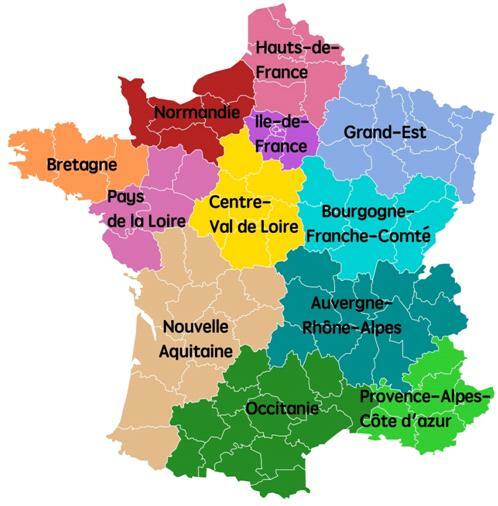 While the current departments remain unchanged for the moment, any departments can voluntarily merge with another between 2016 and 2019 and so the map of France could continue to change in the following years.